Proof of Entry Prior to 10 – Players who have entered the U.S. prior to the age of 10 (regardless of their current age) and have been continuously living in the country since moving, can supply a copy of an official document to prove that fact (e.g. report cards, doctor records, etc.). Non-U.S. Citizens – A player born outside of the U.S., who is currently over the age of 18, may also complete and sign the First Registration form. U.S. Soccer will contact the foreign association for confirmation and will clear the player once that is received. Minors Process – Any player under the age of 18 who is not eligible for the Prior to 10 clearance method will be required to go through the FIFA Transfer Matching System (TMS) in order to obtain their international transfer clearance. The player lives outside the U.S., but no further than 30 miles from the national border. In addition, the U.S. Soccer-affiliated club with which the player wishes to be registered is within 30 miles of that same border. 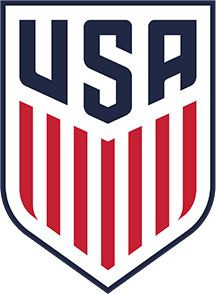 ITC Request – Any player over the age of 18 who has been previously registered to a club in another country cannot be registered to a club in the United States until U.S. Soccer has received an International Transfer Certificate (ITC) from the player's former association. To initiate this process, the player must complete and submit an ITC Request form to U.S. Soccer, who will then request the ITC from the national association with which the player was most recently registered. In order for clearance to be obtained; all forms listed on the checklist must be included in PDF form along with a signature from the club/association.